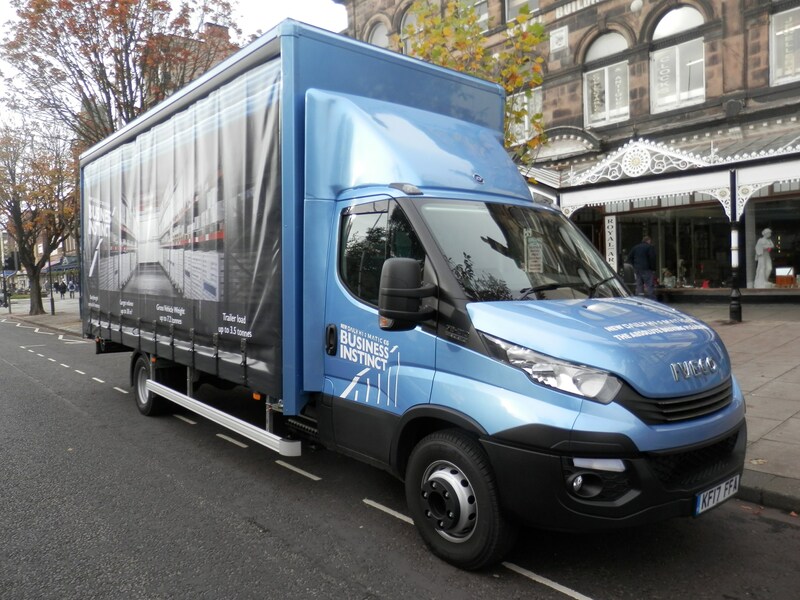 "After years of persevering with a truck-based van product, Iveco’s Daily has the potential to provide a unique solution to urban delivery operators. " oThe Iveco is a city slicker with attributes that may make it a popular choice once improved visibility standards are adopted more widely. Iveco brands its Eurocargo as “the truck the city likes” claiming that it “respects people and the environment in which it works”. However, as we have seen over the past couple of years, justifying such claims are becoming increasingly difficult. There’s been an increased focus on not just the size of trucks coming into the city and their emissions, but also the ability of the driver to see around the vehicle as witnessed by London introducing the Direct Vision Standard (DVS). So a truck based around a van cab would appear to be the perfect solution, as it’s lower to the road, offers better potential vision and is easier to enter and exit – that’s the theory, anyway. We tested the Eurocargo’s cousin – the van version – earlier in the year but we thought a better comparison with a traditional urban delivery truck would be to test a chassis cab with a truck-style body. 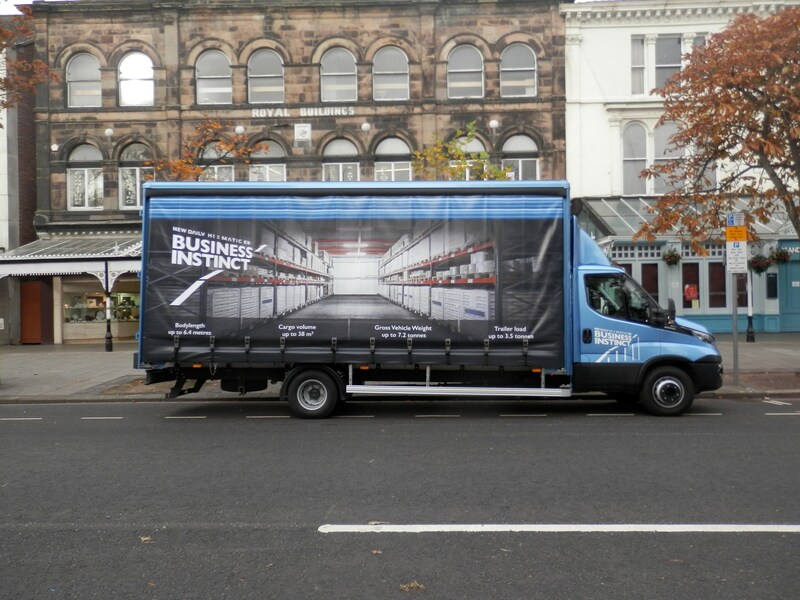 So, we were offered the opportunity to drive a 7.2-tonne Daily complete with a curtainsider. Our test vehicle had the highest power rating of 208PS (150kW) at 3,500 rpm with a torque rating at 470Nm revving at 1,500 rpm. There are two other power ratings available, both of which are based around the well known and proven 3.0-litre FPT Industrial diesel. One of the most interesting aspects of this engine is the breadth of the torque which covers more than 1,250 rpm, making it very driveable. The four cylinder in-line Euro VI engine derives the three different power settings by providing various turbo-based solutions, from waste gate, variable vanes and twin turbos, covering the 148PS to 208PS power range. 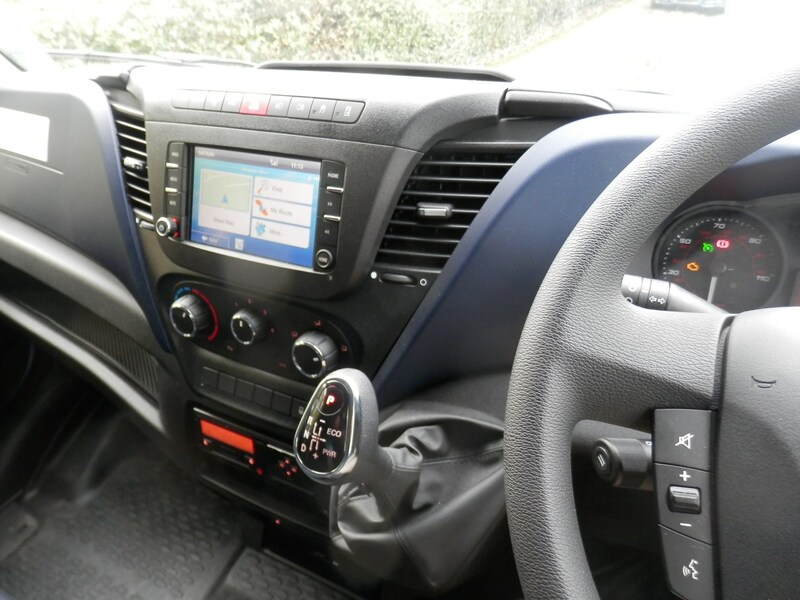 Behind the 3.0-litre diesel is a choice of either a six-speed manual or automatic gearbox, plus for our test vehicle we had the opportunity to try out the latest generation automated ZF eight-speed, branded Hi-Matic by Iveco. All of the above feature an overdrive on the top gear. Daily offers a substantial chassis compared to van style-based competitors which normally operate around the lower 3.5-5.0-tonne gross vehicle weight (gvw) sector with the ‘C’ section steel longitudinal side members supported by tubular cross members. It has five wheelbases, ranging from 3.75m to 5.1m, and this allows body lengths starting around 3.3m (10’6”) going up to a very impressive maximum of 6.4m (20’6”). There are Iveco factory-fit bodies available as well and they range from 4.1m (13’6”) to 6.1m (20’). The front axle is plated at 2,500kgs, perhaps a little light for some operations, and the rear axle is rated at 5,350kgs, more in line with the requirements for potential target customers. Adding the two axles together and taking into account the 7,200kgs gvw gives a combined axle tolerance/ load latitude of 650kgs, in or around the industry standard of 10% of gvw. Axle suspension at the front is via a new ‘quad-tor’ system which incorporates a torsion bar and anti-roll bar with shock absorbers. The rear suspension has the option of either semi-elliptical springs or a two-bag automatic – self levelling air suspension backed with an anti-roll bar and shock absorbers. In line with most modern trucks and vans, front and rear discs provide the braking on both axles, with disc diameters of 301mm and 306mm respectively. In addition, electronic braking is included as standard, as is anti-lock braking (ABS), electronic stability (ESP – the latest ninth generation), electronic brakeforce distribution (EBD), anti-slip regulation (ASR) and hill hold. The cab is based on a van cab although as Iveco notes in its specification sheet, the glass area has been increased in the latest incarnation of the Daily, offering greater visibility. There’s a new lower height, three-way adjustable, high comfort driver’s seat and sitting in front is a lower and smaller, adjustable steering wheel with Bluetooth controls for the radio/CD and USB/aux connections. A dual passenger seat is standard with both seats having three-point seatbelts. If you specify one of the two major cab upgrades, this seat will also have a desk and internal storage underneath. There are two major cab variants, the first level is the Daily Plus. As well as the seat upgrade mentioned above, you get fog lights and cruise control, plus heated and electrically adjustable rear-view mirrors. The Daily Top specification adds automatic air conditioning, suspended driver’s seat, comfort dashboard, central drawers, cup holder and a glove compartment. It should be borne in mind that it’s a van cab, not a truck one. You climb just two steps into it. This lower-profile cab could feel cramped compared to a larger truck but the increased glass area of the latest generation Daily has really improved the visibility and this is a crucial advantage, especially when delivering goods in an urban environment. Our test vehicle had the top of range 208PS matched to the Hi-Matic ZF eight-speed automated gearbox and was loaded to around 70% of the maximum payload/body allowance of just less than 5,000kgs. But the smooth upchange showed no sign of struggling. In fact, it was noticeably agile along all sections of the test route. 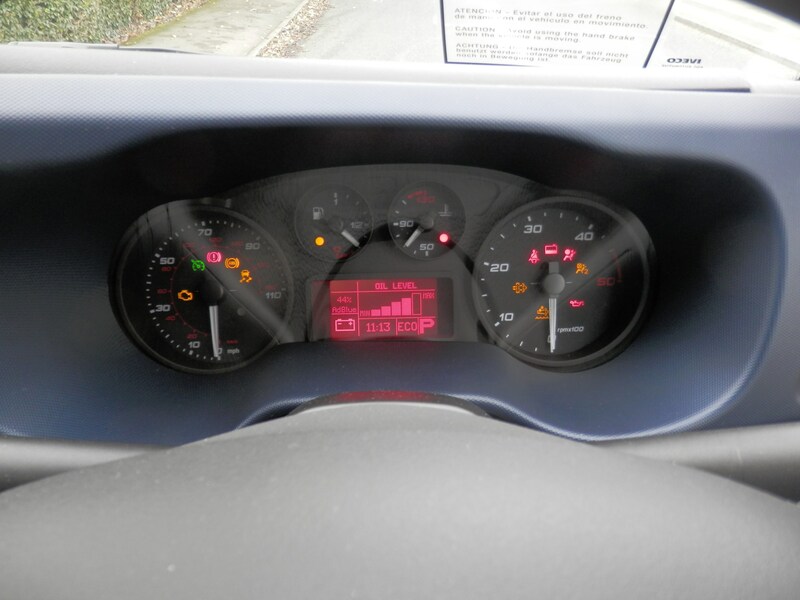 The instrument panel has a standard look, with the circular rev counter on the right and speedo on the left. There are a couple of smaller dials for the fuel and water temperature with a small LCD dynamic screen controlled via buttons on the steering wheel. The auto box short lever is on the driver’s left and you can either select full auto or manual control. We stuck with fully auto and a more relaxed driving experience was the reward. Changing up took place at around 1,650rpm and the kick-down function meant this could be held on to around 3,000rpm if a quick burst of speed was required. At 50mph, we cruised at around 1,500rpm which made for a very quiet cab environment but, as expected, trying kick down produced a greater level of noise. The curtainside vehicle handled the corners quite well although there was a small amount of roll as we came out of a roundabout but nothing more than one could experience from a well-loaded van. After years of persevering with a truck-based van product, Iveco’s Daily has the potential to provide a unique solution to urban delivery operators. 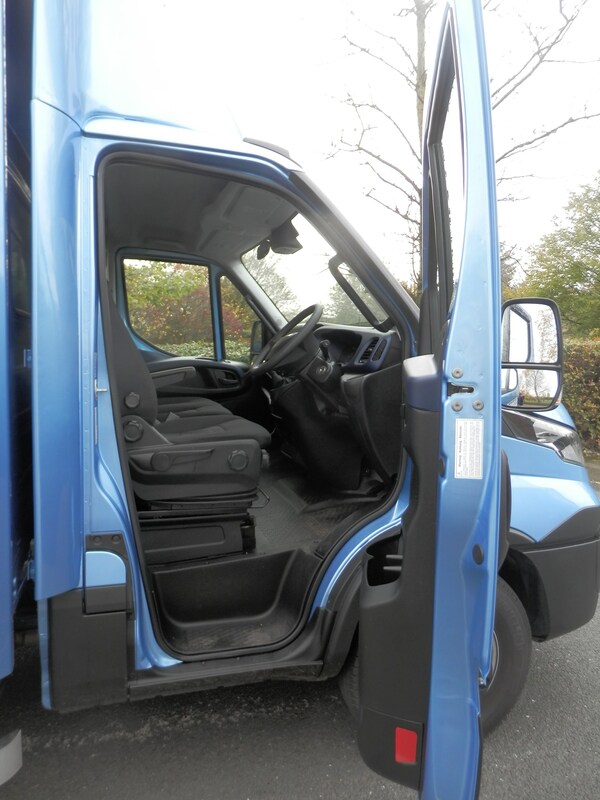 If the manufacturer can reach a considerable customer base who are looking for a low cab, high visibility, town comfortable commercial vehicle which has proven driveline then it could be on to a winner. Iveco just needs to target the right customers.